In 1959, the team signed draft pick Wilt Chamberlain. 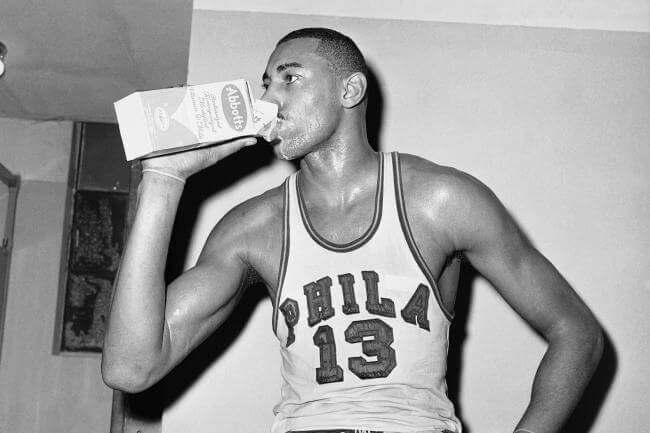 Known as “Wilt the Stilt”, he led the team in scoring six times, quickly began shattering NBA scoring records and changed the NBA style of play forever. On March 2, 1962, in a Warrior “home” game played on a neutral court in Hershey, Pennsylvania, Chamberlain scored 100 points against the New York Knicks, a single-game record the NBA ranks among its finest moments.